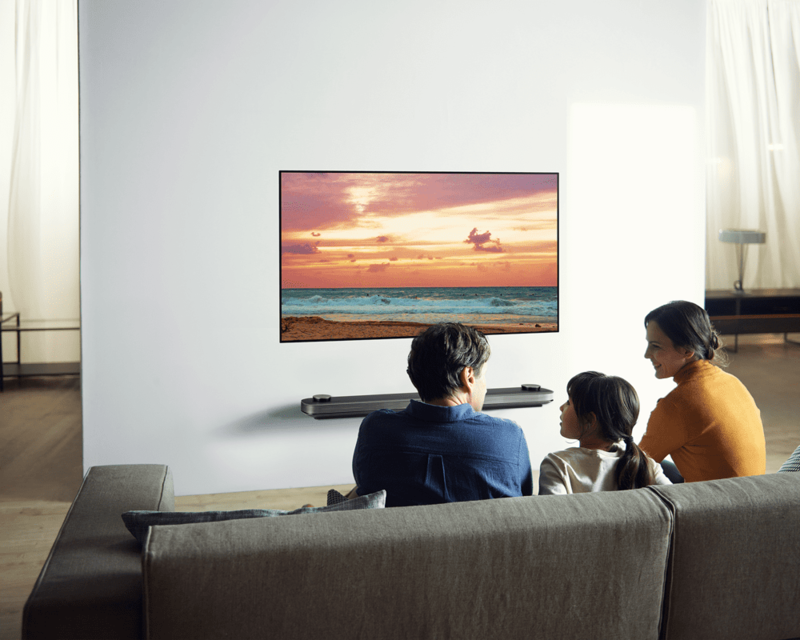 Each model generates perfect black by using self-lighting rather than back-lit pixels, while Dolby Vision brings out deeper levels of detail and realism with images formed from over a billion lifelike colours. Each model also includes a Dolby Atmos audio system to create a richly detailed and atmospheric soundstage. Innovative, reliable and easy to use... What more could you ask for in a washing machine? Well, how about sleek designs that will become a centrepiece of your laundry: LG washing machines not only make your clothes look their best, they make your home look brilliant, too. Handle your laundry with care when you choose a clothes dryer from LG. With sturdy construction, reliable design and looks that will complement any laundry, there is an LG clothes dryer for every home and budget. 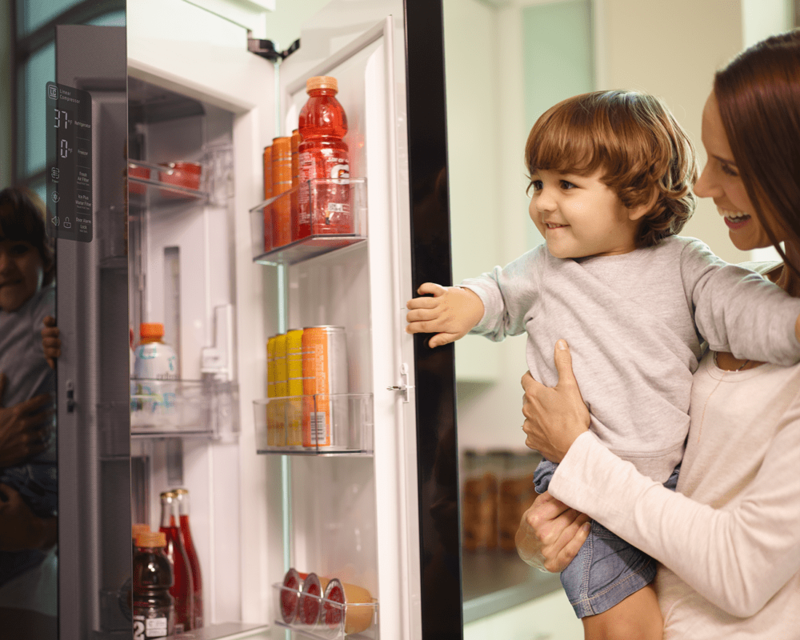 LG fridges have beautiful designs that give your kitchen an instant style upgrade, plus features to save space and reduce cold air loss. is relax as webOS 3.5 makes the TV experience simpler than before. With a Chrome Pocket Handle, Anti-fingerprint Finish and 687 litres of capacity, enjoy the convenience and storage of this Side by Side refrigerator. With an inverter direct drive motor & 6 motion direct drive, this LG 6.5kg top loader is a reliable, quiet and effective laundry solution. Stylish and practical, the LG 310L Anti-fingerprint Bottom Mount Fridge keeps your perishables fresh for longer and your kitchen classy. 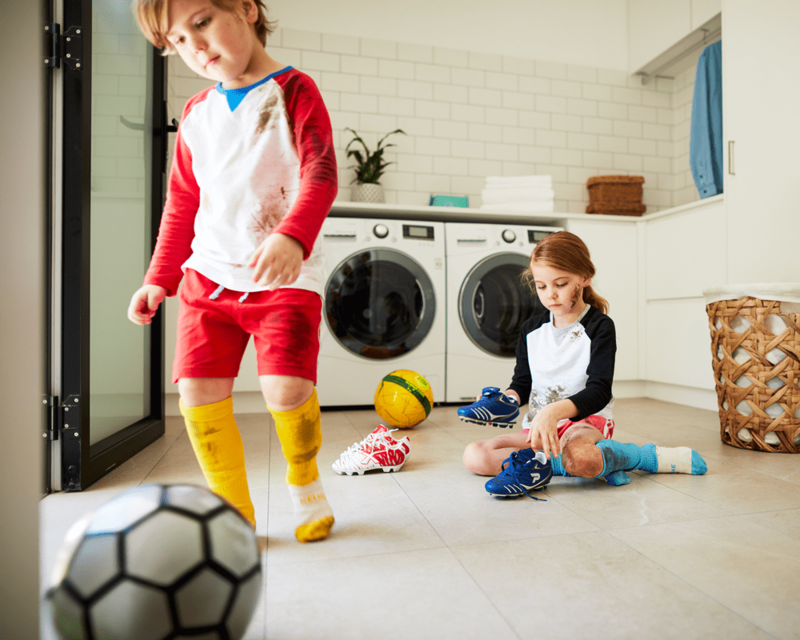 The LG Twin Wash 16kg/9kg Front Load Washer and Dryer Combo with 2.5kg Mini Washer gives you the flexibility to wash multiple load of washing at the same time. 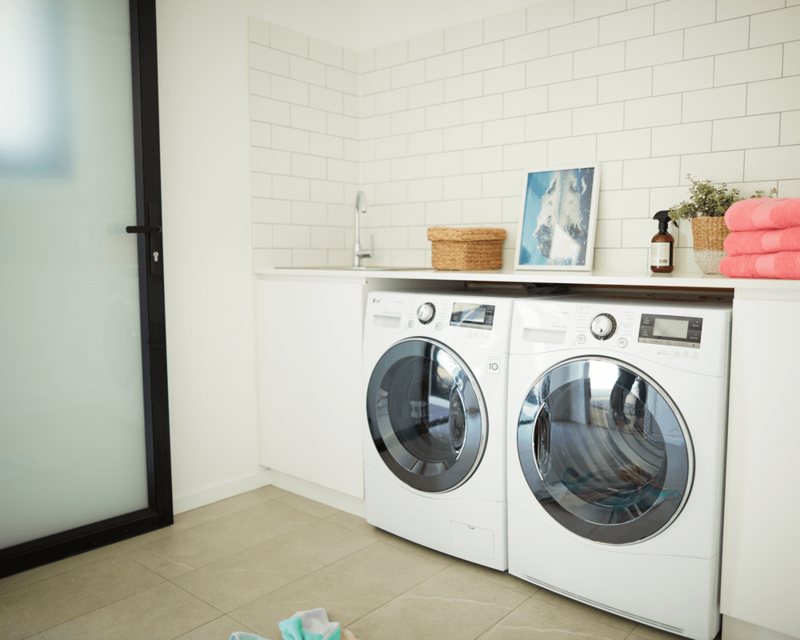 Smaller, more specialised loads can be washed in the TWINWash MINI underneath the main unit, allowing you to save time and energy when it comes to your washing. The LG NeoChef 42L Smart Inverter Microwave Oven features a single piece of tempered glass on the front door creates a modern, minimalist appearance. The Anti-Bacterial EasyClean interior coating makes cleaning simple and convenient. 10kg Top Load Washing Machine from LG, featuring 6 motion direct drive and Smart THINQ™, all completed in an anti-fingerprint stainless finish. Experience the impressive LG SIGNATURE TWINWash® 10kg/6kg Front Load Washer Dryer Combo, boasting premium features including an under-mounted 2kg MiniWasher, heat pump drying, smartphone control via the Wi-Fi Smart THINQ™ app and all completed with an aesthetic black tempered glass door and white enamel coating. 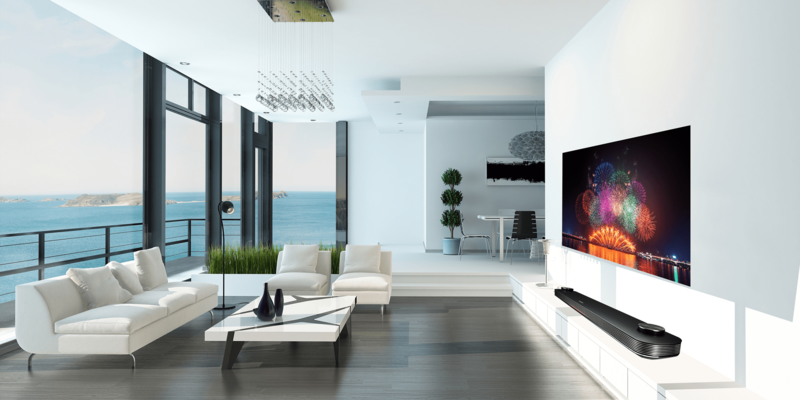 Revel in a new standard of home cinema with the LG C8 OLED TV. Boasting perfect blacks and an intense colour gamut with premium features such as the LG OLED exclusive a9 Intelligent Processor, AI ThinQ® and immersive Dolby Atmos® cinematic, you’ll feel like you’re inside the action as the sights and sounds come alive with truly breathtaking realism. The LG SK85 Super UHD TV comes with Nano Cell technology which helps deliver breathtakingly vivid colours at wide viewing angles, for an amazing experience. Combine this with Dolby Atmos® and 4K Cinema HDR with Dolby Vision™, and you have everything you could want in a TV.